Only his death on September 6, 2017, stopped the innovative research activities of Lotfi Asker Zadeh. Right up to that time, Professor Zadeh had been immersed in the affairs of the Berkeley Initiative in Soft Computing (BISC), of which he was founder and chairman. Zadeh's highly inventive research had its beginnings during his first 10 years of study and teaching at New York's Columbia University when he was advancing from instructor to professor. He completed his Ph.D. in 1949 under the supervision of Professor John R. Ragazzini, and shortly thereafter (1952) produced jointly with him a research paper that introduced what is now called the z-transform method, a method still widely used today in digital-signal processing systems. Dr. Zadeh was promoted to a full professorship at Columbia in 1957, and appointed at that level in the Department of Electrical Engineering (EE) at the University of California, Berkeley, in 1959. His 58 years on the Berkeley faculty are marked with many achievements for which he received worldwide recognition. Throughout his entire academic career, Zadeh kept a strong focus on building an effective educational structure as well as on producing innovative research so as to be responsive to the vibrant technological developments burgeoning in engineering in the mid-Twentieth Century. When in 1963, Zadeh became chair of the Berkeley EE department, he devoted substantial efforts to strengthen its support for, and expansion of, computer science. After he stepped down as chairman in 1968, EE had become EECS (the Department of Electrical Engineering and Computer Sciences), and Berkeley had begun its advancement into the top ranks of leadership in the computer sciences. In 1973, Lotfi Zadeh received the prestigious (Institute of Electronic and Electrical Engineers) IEEE Education Award, largely in recognition of his performance as chair of EE and then EECS. Other important services to UC Berkeley include his Academic Senate committee memberships: Academic Planning & Resource Allocation (1992-95); Committees (1969-70; 1980-81); Courses of Instruction (1975- 80); and Faculty Awards (1990-92). Professor Zadeh graduated more than 50 PhD students, many of whom went on to become leaders across many areas of engineering, management, and the information sciences. While on the faculty at Columbia, Professor Zadeh was a visiting member of the Institute for Advanced Study in Princeton, New Jersey (1956). He also held a number of other visiting appointments: professorships in electrical engineering at the Massachusetts Institute of Technology (MIT) in 1962 and 1968; visiting scientist appointments at IBM Research Laboratory, San Jose, California, in 1968, 1973, and 1977; visiting scholar appointments at the Artificial Intelligence (AI) Center, SRI International, in 1981; and at the Center for the Study of Language and Information, Stanford University, in 1987-88. Professor Zadeh's work had been centered on system theory and decision analysis until 1965, but in that year, his research veered in a new direction that he introduced in the journal, Information and Control. He had contributed a paper called "Fuzzy Sets," defining a new way of considering information and establishing basic principles for drawing engineering conclusions from these concepts. "Fuzzy Sets" attracted great attention and a huge number of readers. The paper had, as of September 29, 2017, received more than 71,000 citations according to Google Scholar, becoming one of the most cited papers in the history of the information sciences. In its abstract Zadeh writes that: "A fuzzy set is a class of objects with a continuum of grades of membership. Such a set is characterized by a membership (characteristic) function which assigns to each object a grade of membership ranging between zero and one. The notions of inclusion, union, intersection, complement, relation, convexity, etc., are extended to such sets, and various properties of these notions in the context of fuzzy sets are established." Professor Zadeh's fuzzy-set research considered applications to artificial intelligence, linguistics, logic, decision analysis, control theory, expert systems and neural networks. From the outset, it was clear to Professor Zadeh that research in fuzzy sets would find detractors, many of them taking issue with the initial premise of his concept. What is uncontroversial, however, is the tremendous impact of Professor Zadeh's work in practical areas of engineering. On the academic side, Google Scholar lists hundreds of thousands of papers with "fuzzy" in the title, and there are more than 20 journals devoted solely to this area. On the industrial side, the U.S. patent database lists over 33,000 patents and applications with "fuzzy" in the title, and the fielded applications also number in the tens of thousands, ranging from camera-focusing systems to automatic- transmission-gear selection to automated-train controls, and to oil refinery and nuclear reactor systems. It is indeed unusual that so vast a range of innovations can be traced so clearly to the work of a single researcher. In recognition of his seminal research, Lotfi Zadeh received numerous national and international awards. These include elections as a member of the U.S. National Academy of Engineering; Foreign Member of the Finnish Academy of Sciences, the Polish Academy of Sciences, Korean Academy of Science & Technology, Bulgarian Academy of Sciences, the International Academy of Systems Studies, and the Azerbaijan National Academy of Sciences. He was a Fellow of the IEEE, the American Association for the Advancement of Science, Association for Computing Machinery, Association for the Advancement of Artificial Intelligence, and the International Fuzzy Systems Association. He was awarded the IEEE Education Medal, the IEEE Richard W. Hamming Medal, the IEEE Millennium Medal, the IEEE Medal of Honor, the ASME Rufus Oldenburger Medal, the B. Bolzano Medal of the Czech Academy of Sciences, the Kampe de Feriet Medal, the American Automatic Control Council, Richard E. Bellman Control Heritage Award, the Grigore Moisil Prize, the Honda Prize, the Okawa Prize, the AIM Information Science Award, the SOFT Scientific Contribution Memorial Award of the Japan Society for Fuzzy Theory, the ACM Allen Newell Award, the Norbert Wiener Award and the J. P. Wohl Career Achievement Award of the IEEE Systems, Man and Cybernetics Society, Civitate Honoris Causa by Budapest Tech Polytechnical Institution, the V. Kaufmann Prize of the International Association for Fuzzy-Set Management and Economy, the Nicolaus Copernicus Medal of the Polish Academy of Sciences, the J. Keith Brimacombe IPMM Award, the Egleston Medal, the Benjamin Franklin Medal of the Franklin Institute in Philadelphia, the Medal of the Foundation for the Advancement of Soft Computing, the High State Award 'Friendship Order' from the President of the Republic of Azerbaijan, the Transdisciplinary Award and Medal of the Society for Design and Process Sciences, many other awards, and 25 honorary doctorates. Zadeh was inducted into the Silicon Valley Engineering Hall of Fame, the Heinz Nixdorf Museums Forum Wall of Fame, and the AI Hall of Fame. In 2013, Professor Zadeh received the BBVA Foundation 'Frontiers of Knowledge Award' for the invention and development of fuzzy logic. 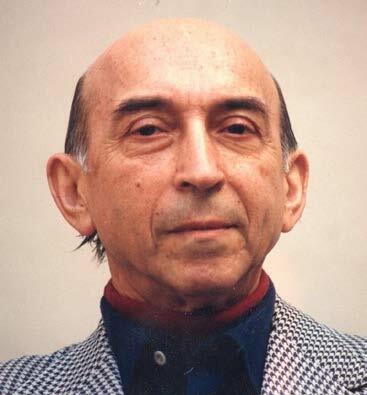 In 2011, Lotfi Zadeh contributed an invited retrospective, entitled "My Life and Work," to the journal Applied Computational Math (vol. 10, no. 1, pp 4-9). The retrospective provides an overview of his early life and background. Lotfi was born on February 4, 1921, in Baku, the capital of Azerbaijan, where his father worked as foreign correspondent for Iran's leading newspaper. Azerbaijan, on the northern border to Iran, had in 1918 become a USSR republic. Lotfi described his family as 'well-to-do' in Baku and his life and early schooling there as excellent. Owing to changes in the USSR, the Zadeh family moved to Teheran in 1931 and Lotfi, whose interests had already put focus on eventually becoming an engineer, prepared himself to compete successfully for a coveted spot in the engineering program at Iran's highly rated University of Teheran. In Teheran, Lotfi met his future wife, then known as 'Fania', but identified as 'Fay' on all recorded occasions after the Zadeh marriage in 1946. He earned a B.S. in electrical engineering in 1942, and graduated into a world at war. Iran was then occupied by Allied troops. Taking practical work in the construction area served to confirm Lotfi's goal to further his education so that he might be prepared for a career working on the frontiers of knowledge. He emigrated to the U.S., where he applied successfully for admission to MIT, enrolling in 1944 as an M.S. candidate. Zadeh did research with Professor Ernst Guillemin whom he describes as an inspirational teacher, and one who encouraged him to continue to a Ph.D. Lotfi, however, decided to enroll at Columbia University in New York because, as he explains in the retrospective, his parents had moved there from Iran. Entering Columbia in 1946, Lotfi began Ph.D. study under the supervision of Professor Ragazzini and was awarded his doctorate in 1949. In that year he was also invited to join the Columbia EE instructional staff. In the retrospective, Lotfi describes his move to study in New York and the decision in March, 1946 for he and Fay to marry as two decisively positive events. Lotfi's marriage to Fay would last until 2017 when she died some months before him. Fay was a beautiful woman, and Lotfi had commissioned a life-sized oil portrait of her that he later presented to The Faculty Club at Berkeley, where it hangs on public display. Lotfi also had a lifelong hobby of photography specializing in portraits of accomplished engineers, scientists, and educators. His displays of these photos, mounted often in The Club, regularly delighted visitors to that century-old landmark on the Berkeley campus. Fay and Lotfi had two children, a daughter Stella (who died in 2006) and a surviving son Norman, who has changed the spelling of his surname to Zada.